With summer just beginning, naturally you should be thinking of planning that December trip for the holidays! Traveling over the holidays makes for such fantastic, unforgettable memories. How about standing outside Notre Dame Cathedral hearing all of Paris’ church bells chime across the city as the clock strikes midnight, ringing in Christmas Day? 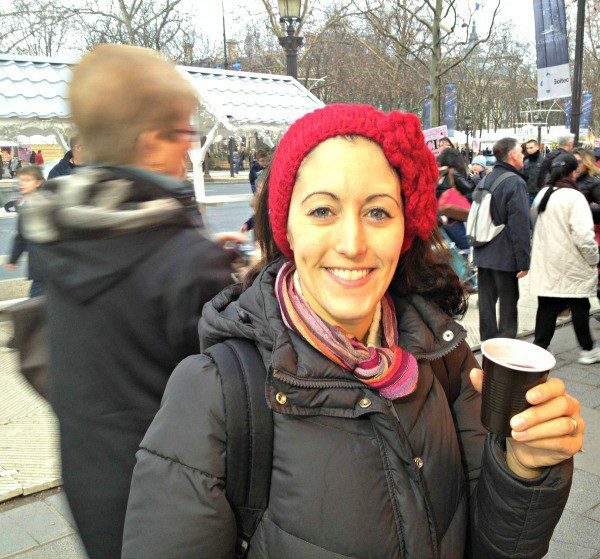 A cup of vin chaud (warm spiced wine), as you stroll through Paris’ Christmas markets, takes away the chill! 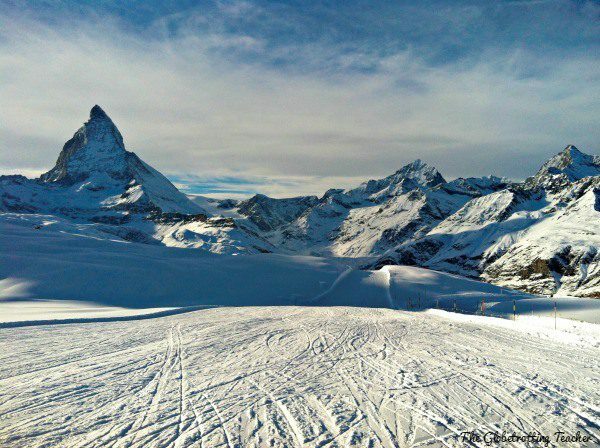 Or, would you like to ski in the Swiss Alps in December and enjoy the holiday apres-ski vibe in Zermatt, Switzerland? A clear, winter day allowing the Matterhorn to sparkle! 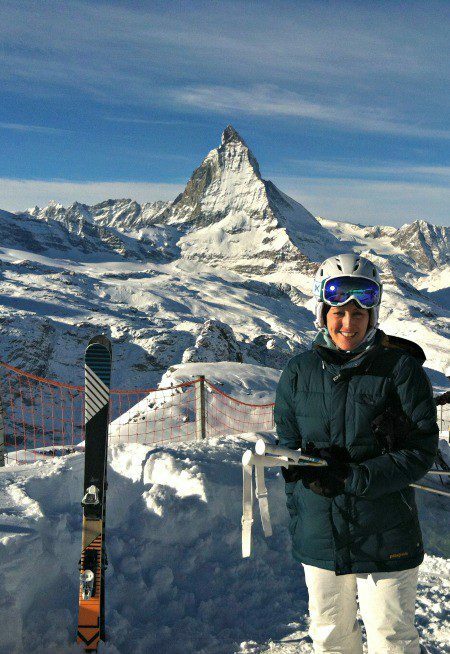 Skiing with the Matterhorn in full view for Christmas..absolutely the whitest, most beautiful Christmas landscape I’ve experienced. 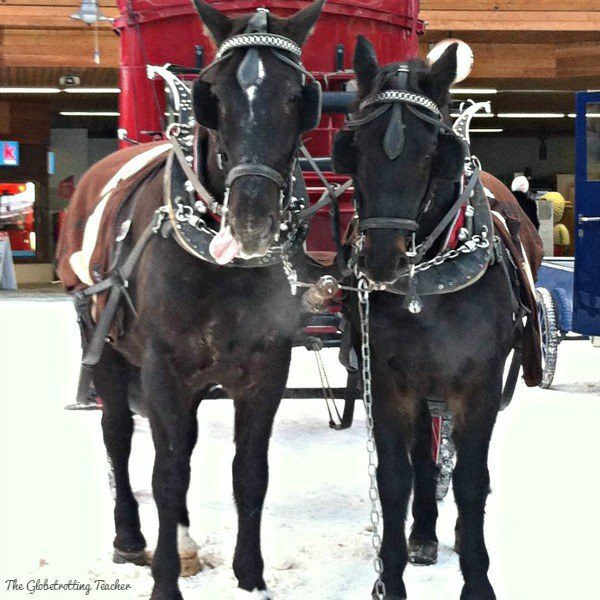 These guys add to the holiday cheer as they pull their red carriage through snow-covered Zermatt. This year, we (hubby and I) wanted to head back to Europe for the holiday season to experience the holiday markets and festivities in and around Munich, Salzburg, Vienna, Prague, and Budapest. Budapest lit up and shimmering onto the Danube. Looking at our miles and points balances and planning ahead for future trips, we decided to use American Airline miles. The merger of our U.S. Airways Dividend accounts with our AAdvantage accounts left us each with more than enough AAdvantage miles to book award flights to Europe. Tip: The American Airlines award chart has off-peak MileSAAver fares between the 48 continental states to Europe. If you book before March 22nd, 2016, economy MileSAAver awards are only 40k roundtrip between October 15th-May 15th. On March 22nd, 2016, off-peak MileSAAver awards will cost 45k miles for travel between November 1st-December 14th and January 10th-March 14th. I also wanted to use my Club Carlson point balance for our hotel bookings before the program devalued on June 1st. Not only were the amount of miles needed to book award nights going up, the 2nd night free on award stays for Club Carlson credit card holders was going away! Screenshot of the Club Carlson email sent to me. Man, oh man! Am I going to miss that free night perk! Tip: Earning miles is important, obviously! But, burning miles is equally important, not to mention more fun! Getting the most value from your miles and points means not letting them sit too long. Programs devalue. Award requirements change. Use your miles and points sooner rather than later! Figuring on a pretty straight forward booking process (ahem), I headed to the American Airlines website to book flights. I was as flexible as I could be with the dates and searched different routes flying into and out of several airports. There was a plethora of British Airways award space, but those flights come with high fuel surcharges, rendering any probable award ticket not a good value at all. Tip: Contrary to what it may seem, flying British Airways to Europe from North America is NOT worth it. You end up using thousands of miles AND paying upwards of $600 in fuel surcharges. Short haul flights within the Americas, for example, are a much better use of miles on British Airways and come without surcharges. In a different situation, I might have gambled and waited to see if American Airlines released any more award space. The smartest of the 3 agents explained that bookings to Europe were popular given the rising strength of the dollar, but that many flights weren’t sold out, raising the possibility of additional award space in the future. Perhaps I could snag a couple of award seats by cautiously waiting….hmmm. The “problem” was my Club Carlson points needed to be used. Obviously, we couldn’t let those hotel points devalue. We couldn’t wait, so…We changed our plans. We booked travel for February 2016 and easily found award space on American’s OneWorld Alliance partners. 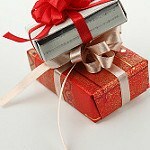 Instead of Prague for Christmas, it will be Prague for Valentine’s Day! A walk across the Charles Bridge in Prague will be so romantic! Could we order up some of the fog for our late night stroll? Tip: Definitely consider traveling to popular destinations in the off-season. There are fewer crowds and deals to be had. We visited Barcelona in November and Normandy in December and took full advantage of the sights, food, and culture without waiting in lines or feeling crowded by hordes of tourists. Here are the logistics of our booking. With the American Airlines off-peak MileSAAver award, we booked on partner Finnair from New York City to Prague. The combined taxes and fees were $23. We will fly out of Budapest on AirBerlin back to New York City, paying a total of $130 taxes and fees. We are both American Airlines Citi Platinum Select cardholders and took advantage of the 10% mileage discount, reducing the award miles needed per ticket down to just 36k per person! Using my Club Carlson points, we booked 2 night stays in the Radisson Blu Alcron in Prague, the Radisson Blu Style Hotel in Vienna, and the Radisson Blu Beke in Budapest. 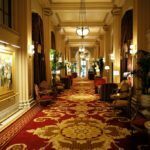 We stayed in a Radisson Blu in London and were more than happy to book at other Radisson Blu properties. For each booking, the 2nd award night was free, which meant I needed to pay with points for just 3 of the 6 nights. There were $0 in taxes and fees. Yes, 6 nights in Europe for FREE. 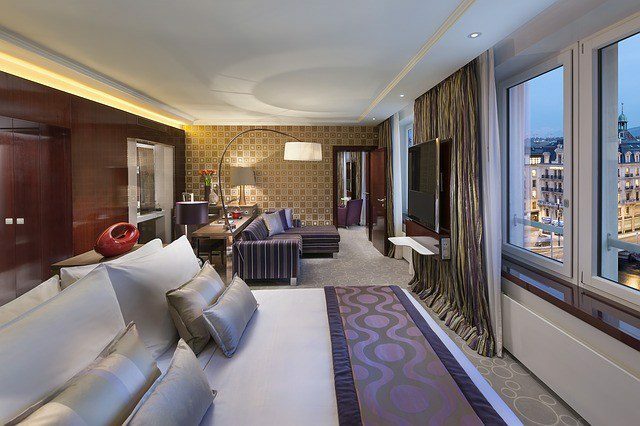 Who wouldn’t love a comfy European hotel booked with points? 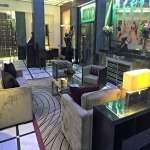 We needed 1 additional night in Prague and used a Club Carlson cash and points award. Using 10k points and paying $53, we booked our 3rd night at the Radisson Blu in Prague. Total cash out of pocket for 2 roundtrip tickets to Europe and 7 nights accommodations cost just $206! We could have stayed in New York City and gone to dinner and a show for Valentine’s Day, but that would have cost a lot more than $206! Where would you like to go? How do you plan to use your miles and points? Like this post? Please share it on social media using the share buttons below! Then, stick around and read more! Should You Redeem Airline Miles to Buy Merchandise? We don’t use American for much so I didn’t know about their saver awards. That would be great because we fly in the off or shoulder season almost every time. 15 or 20K one way is a steal! This year, we’re doing our first ever holiday season away. We’ll be in Cuba on Christmas and Mexico City on New Years. I’m excited! That sounds awesome, Laura! Cuba and Mexico City for the holidays sounds incredible! American Airlines has great off-peak deals. There are also South America deals that are an absolute steal! Remember, you can use your AA miles and fly any of American Airline’s partners! So awesome, good for you guys! In Canada we have some good point hacks, but nothing compared to what you guys get in America. BTW I just did a Christmas market cruise through Hungary, Austria and Germany then went to Zermatt- similar to what you were looking to do! That cruise sounds awesome, Tamara! Hopefully, we’ll make it to Germany next Christmas. Would love to look into some river cruise options. What company did you go with? Hi. Just stumbled on your blog today. I started travel hacking last summer – still pretty much a beginner. I’m a teacher too – high school in SC. How are you able to have the flexibility in your dates? I’m pretty much only able to travel during the times everybody wants to travel – thanksgiving, xmas, spring break, summer. Also, have you done any “travel abroad for teacher” type programs?